1. 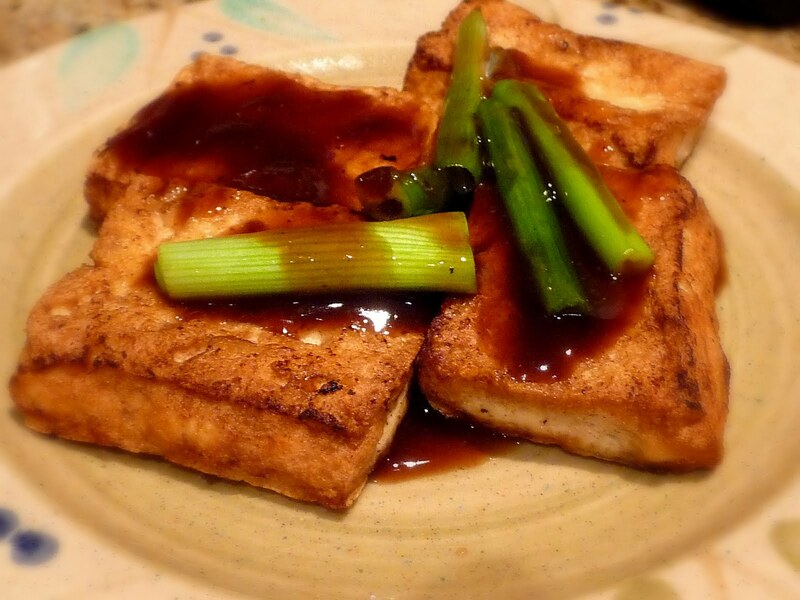 Cut the tofu into about 2 ½ inch squares by ½ inch thick. Pat dry the tofu with paper towel to avoil oil splatter when you fry them. Pan fry the tofu in hot oil on medium heat until golden brown. 3. Remove the fried tofu from the pan. Discard the leftover oil. Turn off heat. 4. Using the same pan, place the sauce into the pan, and add the cornstarch mixture and stir until it thickens to desired consistency. Pour the sauce over the fried tofu and garnish with green onion. The leftover heat from the pan is enough to thicken the sauce. If not, set the heat on low. Before: Cut up the tofu into squares. After: The same tofu after it's been fried. In fact it look so delicious, I like to cook tofu too.